Police in Plymouth, Massachusetts are on the scene of an accident involving serious injuries Thursday morning. The accident took place around 7:00 am on Route 3 at Exit 5, near Long Pond Road. Police report that the accident occurred in the breakdown lanes of the highway. At this time, emergency medical personnel are on the scene of the accident. The motorists involved appear to have sustained serious injuries. There is no word on whether the injuries are life-threatening. There are heavy delays approaching the accident scene and motorists are advised to either avoid the area or be prepared for an extensive back up for a considerable distance leading to the crash site. Authorities are still investigating and this is an active crash scene. There is no word on driver identity or the cause of the crash. A serious car accident is the last thing that anyone wants to think about when they step into their vehicle to go to work, run errands, or go on vacation. 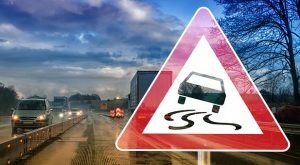 Unfortunately, we all know that sometimes accidents do happen and that innocent drivers are injured daily here on Massachusetts streets and highways. Serious car accidents can affect your quality of life because they often leave the injured victims with permanent and long-lasting injuries including disfigurement, scars, and bone and joint pains which turn into chronic ailments. If you ever find yourself in this position, you are not alone. At the Law Office of Jeffrey S. Glassman, we help injured car accident victims recover compensation for their injuries, including pain and suffering as well as lost wages from missed work. A car accident does not have to leave you feeling like you were victimized over and over again. We will take a tough approach to your case and will not give up until you are satisfied with the results that you have received. Our client-centered approach means that you are our number one priority and we will treat your case and every other case as if it were our own. Our attorneys offer free consultations and case evaluations. To begin discussing your case with us today, please call us at 617-367-2900. We value our clients and we are standing by waiting to speak with you today.